Click here to download a PDF of current job openings at Goodwill Columbus. Looking for a New High School To Fit Needs? The Summer Crisis Program enables eligible households to receive payment assistance and/or air window conditioner. Please bring your own BAGS and BOXES to carry produce home, and do not block the distribution area with parked cars. Produce will be available first come first serve. Resident volunteers are welcome to help out. Produce Fairs will be held RAIN or SHINE, but not in storms. ** Dates subject to change. Take a survey, let us help you better! Drawing for a gift card too! Are you ready to purchase your home? Find out tomorrow! Don’t miss out! LET’S TALK! Join us at St. Stevens Community House, located at 1500 E. 17th Ave, Columbus, OH 43219 on May 18th anytime from 6-8pm. Thursday, June 7, 2018, to celebrate the Franklin County Office on Aging Day with the Columbus Clippers! Gates open at 11:00 a.m. and game time is 12:05 p.m. as the Columbus Clippers host the Norfolk Tides. Fans aged 60 and over attending the event will be treated to reduced ticket prices of just $5.00 for reserved seats and $4.00 for bleacher seats, a boxed lunch and special door prizes. Tickets must be purchased in advance and may be obtained by mailing the attached form to the Columbus Clippers or by calling (614) 462-5250. Deadline for ticket orders is May 23rd. Are you ready to purchase your home? Carletta Upchurch, center, is the latest homeowner in Homeport's lease-option program. Ms. Upchurch closed on her house in the Greater Linden Homes development in Milo-Grogan on April 25. Joining her at the closing was Homeport's lease-option program manager Brenda Moncrief, left, and Realtor Melle Eldridge of Coldwell Banker/King Thompson, right. To learn more about Homeport's lease-option program click here. Are you experiencing financial challenges? Call us! 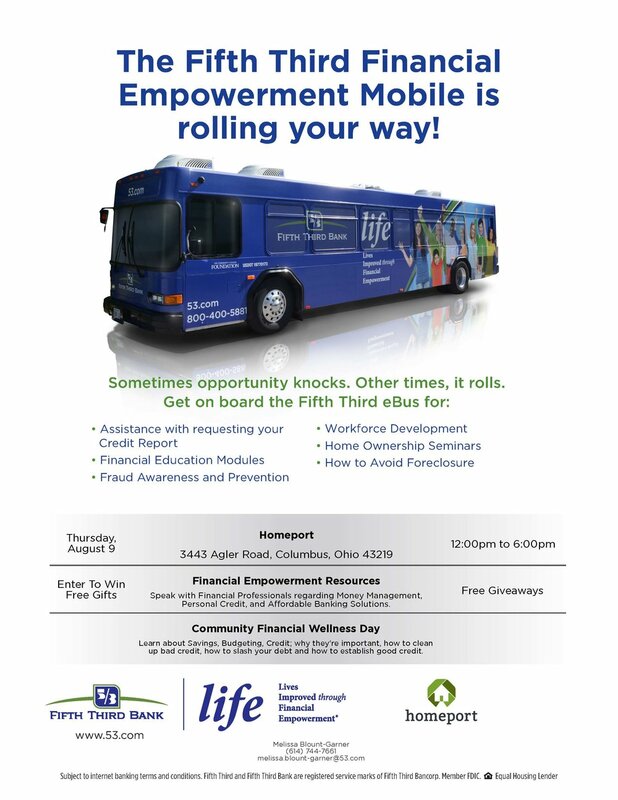 As a Homeport resident you have access to 10 hours of financial fitness workshops to improve your money management skills. Topics covered include budgeting, financial planning, savings, banking, credit, taxes, and insurance. The workshop is FREE! If you would like to register for a workshop please contact our Homeport Resident Services Line at at 614.545.4844 or register online at this link. Tell us about your career training needs & interests - register to win $100 Walmart Gift Card! Homeport is exploring offering career training programs to residents, and would like to learn more about your career interests and training needs. We would appreciate you taking a few minutes to let us know how we can better serve you, and help you advance your education and career. Please complete the following survey and you’ll be entered to win. Another Greater Linden Lease-Option Home SOLD! Barry celebrated purchasing his Greater Linden lease-option home this past week. To his right is Homeport's Brenda Moncrief, Lease Option Program Manager. To his left is real estate agent Melle Eldridge of King Thompson. If you are living in a Homeport lease option community (see below) it's time to start thinking about the transition from renting your home to purchasing. 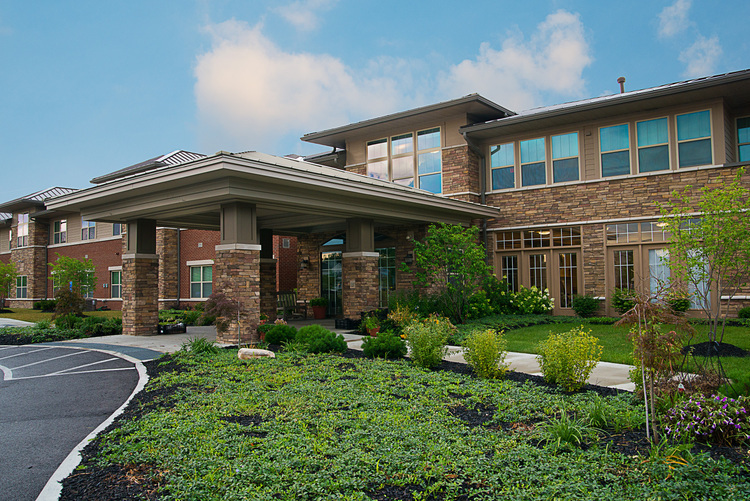 Please contact Brenda Moncrief, Homeport Lease Option Program Manager at 614.545.4816.